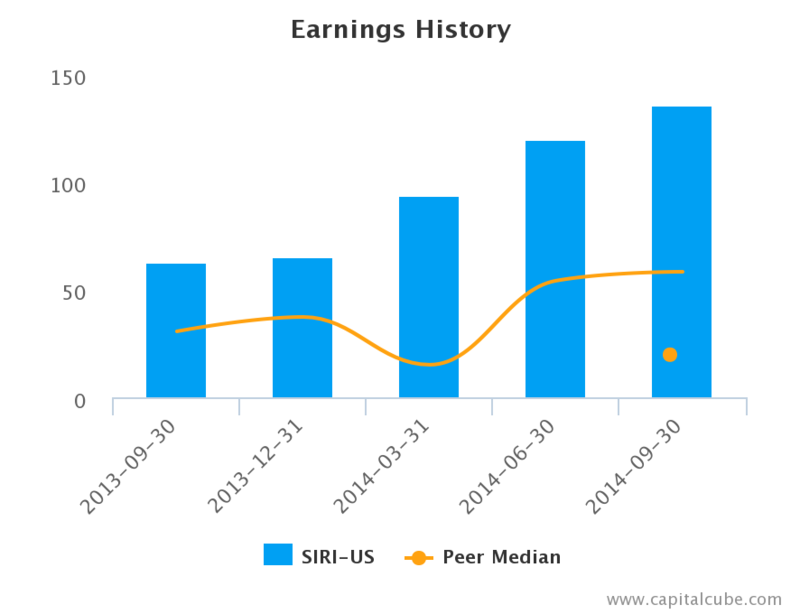 Radio service company SiriusXM Holdings (SIRI) reported a better-than-expected 9.9 percent rise in quarterly revenue on the back of strong US auto sales and a 1.2 million jump in paying subscribers so far in 2014. New car buyers whose vehicles are equipped with Sirius hardware get free access for a few months, but then have to pay if they want to keep the service. Sirius's paying subscribers rose 4.5 percent in the third quarter to 26.7 million, with a net of 433,000 added during the quarter. With approximately 68 million in factory-enabled vehicles in operation at the end of the third quarter, Sirius finished the quarter with about 28 percent of the vehicles on the road. Looking only at new cars, their penetration rate as of September 30, 2014, was 71.5 percent, up 2.8 percent from the third quarter of 2013. 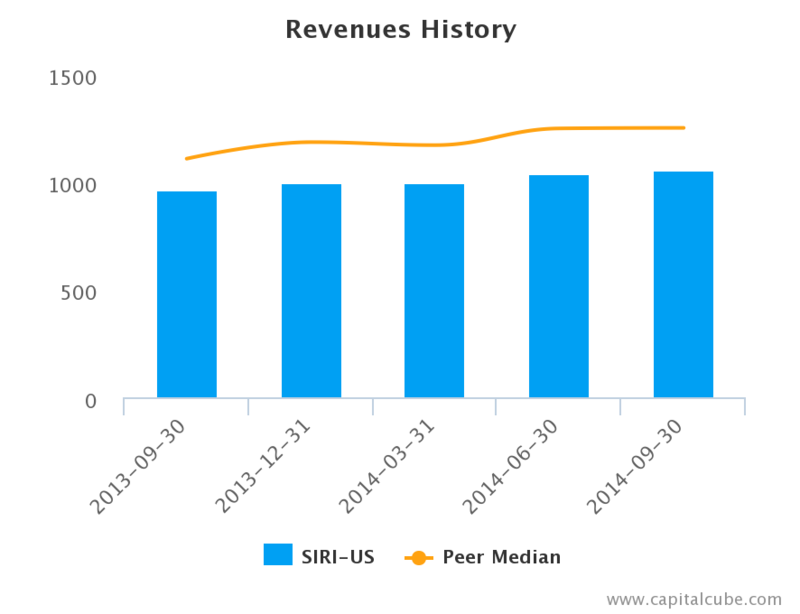 Sirius had total revenue of $1 billion in the quarter ended September 30, 2014, up 10 percent from $962 million during the same period last year. By strictly managing cash operating expenses to just a 1.5 percent increase compared to the same period last year, operating margins widened to 45.3 percent, up from 35.7 percent in the same period last year. 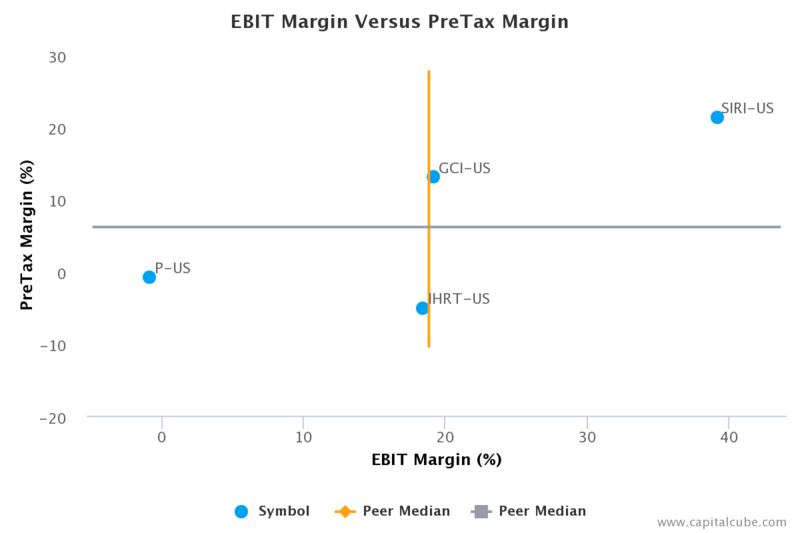 This earnings release follows the earnings announcements from the following peers of Sirius XM: Gannett (GCI), iHeartMedia (IHRT) and Pandora Media (P). • Summary numbers: Revenues of $1.1 billion, Net Earnings of $136.2 million and Earnings per Share (EPS) of $0.02. 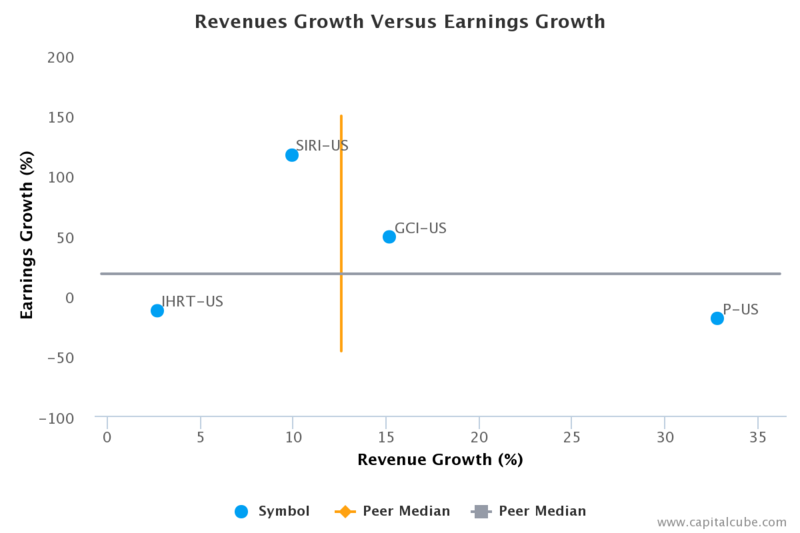 Capital Cube looks at revenue growth to understand a company's ability to grow its market share, and earnings growth to look at the company's ability to generate earnings, as companies sometimes increase market share at the expense of profitability. Sirius's rise in revenue compared to the same period last year of 9.9 percent trailed its earnings' rise of 116.5 percent. The company's performance this period suggests an effort to boost profits. 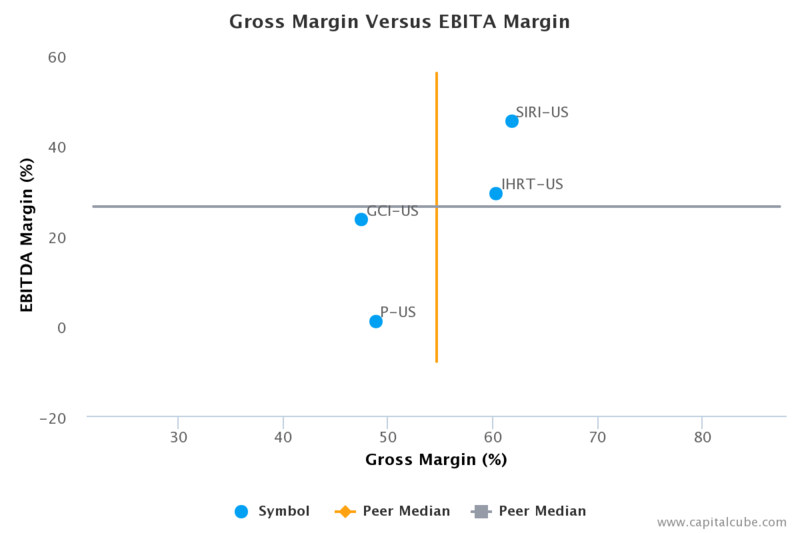 While this is obviously good, the fact that the company's revenue performance is below the average of its peers, may not bode well from a long-term market share perspective. Also, for comparison purposes, revenues increased by 2.1 percent and earnings by 13.5 percent compared to the quarter ending June 30, 2014. 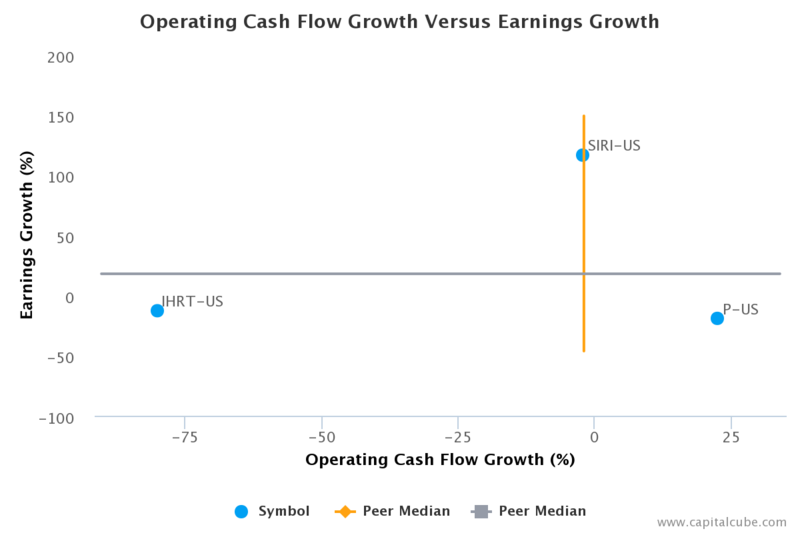 Operating Cash Flow Versus Earnings: Sustainable Performance? Capital Cube goes behind the numbers to see if a company's performance is sustainable, as companies often post earnings numbers that are influenced by non-cash activities. To measures the quality of the reported earnings, Capital Cube examines the growth in earnings against the growth in operating cash flows. 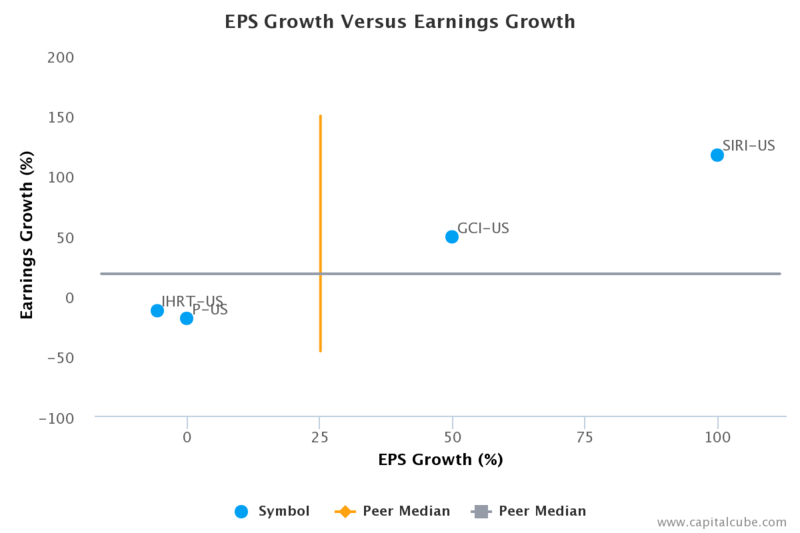 In general, an earnings growth rate that is higher than the operating cash flow growth rate, implies a higher proportion of non-operating, or accounting, activities. These activities are typically not sustainable or repeatable over time. 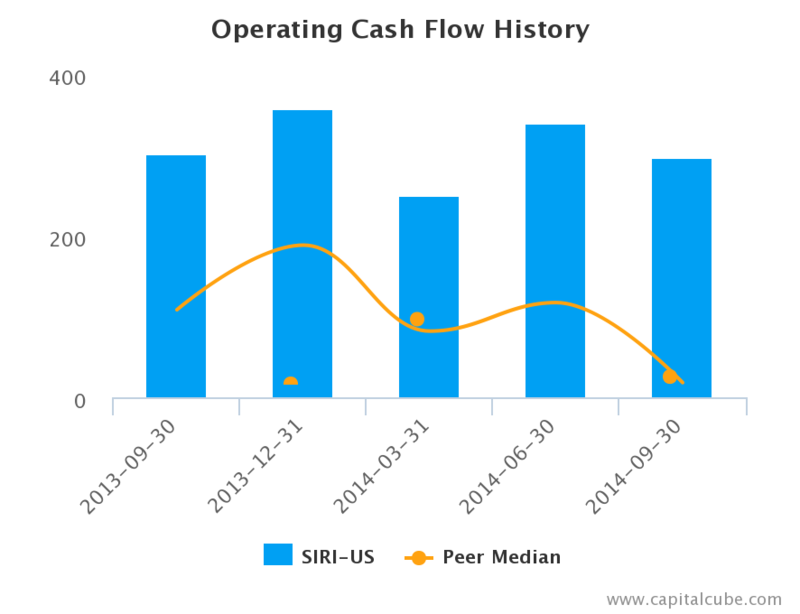 Sirius's change in operating cash flow of -2.03 percent, compared to last year, trailed its rise in earnings, suggesting that the earnings number might have benefited from some accounting efforts to unlock accruals. On a positive note, compared to its peers, the operating cash flow change was better than the average results announced to date. The company's earnings growth has also been influenced by the following factors: (1) Improvements in EBIT margins from 29.6 percent to 39.2 percent and (2) accounting items. Sirius's pretax margins widened to 21.3 percent, compared to 12.9 percent for the same period last year. 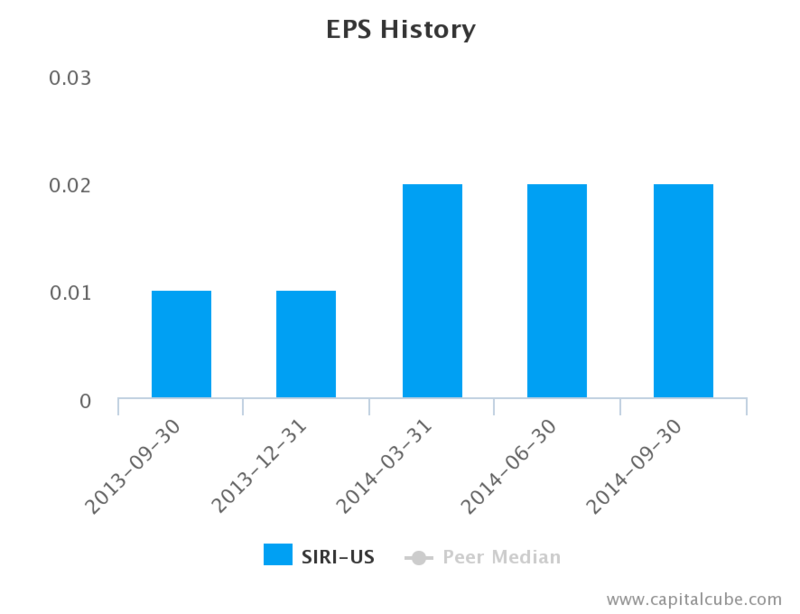 Sirius's 100.0 increase in Earnings per Share (EPS) compared to last year is less than its 116.5 percent increase in earnings. Sirius's earnings performance is better than the average of the results announced thus far by its peer group, leading Capital Cube to conclude that the company is gaining ground in generating profits compared to its competitors. 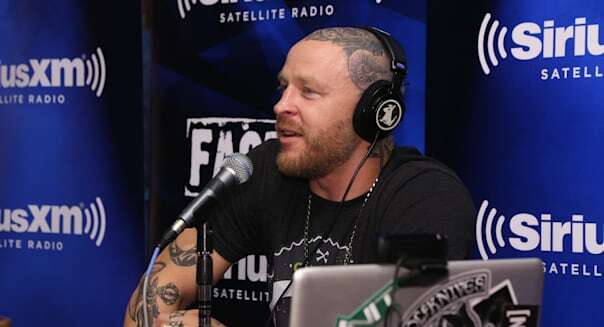 Sirius XM Radio, Inc. provides satellite radio broadcasting services. It operates through its wholly owned subsidiary Sirius XM Radio, Inc. Sirius XM creates and broadcasts commercial-free music, premier sports and live events, news and comedy and talk programming in radio. The company also provides telematics and connected vehicles services, providing safety, security and convenience services to a host of major automotive manufacturers. The company was founded in 1990 and is headquartered in New York, NY. CapitalCube does not own any shares in the stocks mentioned and focuses solely on providing unique fundamental research and analysis on approximately 50,000 stocks and ETFs globally. Try any of our analysis, screener or portfolio premium services free for 7 days. To get a quick preview of our services, check out our free quick summary analysis of SIRI.